Business plans go by many names: Strategic plans, operational plans, internal plans, and many others. Lately, I’ve been focusing on the Lean Plan. There are also one-page business plans, although those are really more summaries. Of course there are traditional business plans, which can also be called formal business plans, or wow-do-I-really-have-to-do-all-that business plans. 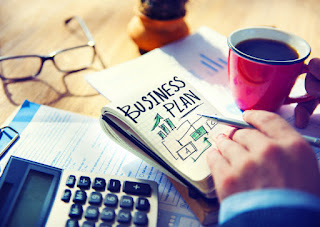 All of these are types of business plans you may need for your business at one time or another. Like so many other things in business, the principle of form follows function applies. Different situations call for different types of business plans. An effective business plan will match its intended use. Knowing these differences will help you plan successfully for the future of your business. Let’s take a look at the types of business plans, and their differences. The Lean Plan that every business ought to have. The standard business plan for those that need to present a plan to outsiders, such as banks or investors. Feasibility plans, internal plans, operations plan, annual plans, and strategic plans. All businesses can use a Lean Plan to manage strategy, tactics, dates, deadlines, activities, and cash flow. The Lean Plan is faster, easier, and more efficient than a formal business plan because it doesn’t include summaries, descriptions, and background details that you and your partners or employees already know. On the other hand, it does include specific deadlines and milestones, and the budgets allotted for meeting them, so your team is up to speed. Set the strategy. Use simple bullet points to define target market, business offering, underlying business identity, and long-term goals. No additional text is needed. These serve as a reminder for owners and managers. Set tactics to execute strategy. Use bullet points again. These include marketing decisions such as pricing, channels, website, social media, promotion, and advertising. Product or service tactics also apply here, including pricing, launch dates, bundles, configuration, new versions, and delivery or packaging. Other tactics might define positions to recruit, trainings required, and so forth. Concrete specifics. List of assumptions, milestones, objective measurements of performance, task responsibilities, and what numbers to track. Essential numbers. Your company’s sales forecast, spending budget, and cash flow. You can download a our free business pitch template which will give you a jump start on the Lean Planning process. The standard business plan is generally shorter these days than ever before; and it’s also as likely to be a document online as a printed document. It’s generally expected to fill the need of a business plan event, which is what we call it when a business needs to present a business plan to a bank, prospective investor, vendor, ally, partner, or employee. The most standard business plan starts with a summary and includes sections or chapters covering the company, the product or service it sells, the target market, strategy and implementation milestones and goals, management team, and financial forecasting, and analysis. The exact order of topics is not important, but most people expect to see all of these topics covered as part of the standard plan. A Lean Plan is a good first draft of a standard plan. Start there and add an executive summary, descriptions of company and product, detailed market analysis, and description of the strategy, main tactics, and the management team. Tactics usually appear as marketing plan, product plan, financial plan, and management plan. Build from your working sales forecast and expense budget to complete financial projections. Those complete projections include the three essential financial projections (also called pro-forma statements): profit and loss, balance sheet, and cash flow. Every standard business plan needs sales plus these three essentials. A standard business plan will start with an executive summary describing the key points of your plan, and end with appendices showing monthly projections for the first year and annual projections for the second and third years. Though it is presented at the beginning of the plan, a good tip is to write your executive summary last. This way, you’ve been through the business plan writing process already and you can confidently select the highlights of your plan to showcase on the first page. The business plan for a startup is sometimes called a startup plan, but some people think all business plans are for startups, and that only startups use business plans. That’s not the case, as planning should be part of business management. The lore of the business plan is changing these days. In most cases, a startup plan is a Lean Plan that typically includes the Lean Plan as shown above, plus projected startup costs, startup steps, and milestones. Startup costs include expenses incurred before launch, such as legal expenses, logo and graphics, websites, signage, and fixing up the office or store; plus assets required, such as starting inventory, vehicles, equipment, office furniture, and—the hardest to estimate and most important—starting money in the bank. When the startup plan will be read by outsiders, it’s common courtesy to add an executive summary, a company overview, management team, and descriptions of market, marketing plan, and product plan. Even if you don’t have the exact numbers yet, it’s always a smart idea to include a preliminary analysis of costs, pricing, and probable expenses. It is possible to summarize target market, business offering, main milestones, and essential sales forecast in a single page. Such a summary can be useful as a summary for banks, potential investors, vendors, allies, and employees. A one-page business plan can also be called a business pitch. These tend to be a lot like a Lean Plan with another name. Like the Lean Plan, an operations plan includes specific implementation milestones, project deadlines, and responsibilities of team members and managers. Usually a strategic plan is an internal plan, but without much detail about specifics and financial projections. It generally goes into more detail on strategy and tactics than the Lean Plan does, so it has more description and explanation. However, strategy is useless without execution, so a good strategic plan has to take implementation into account, which means some consideration for resources and time. As you build the strategy for your company and decide how to implement it, you will want to examine your strengths and weaknesses as a business. Strategy plans are much more likely to be something for the larger enterprise, in which teams of high-level management and sometimes expensive consultants develop broad-brush high-level strategy. In businesses that don’t have thousands of employees, strategy rarely exists in a vacuum, and is almost always developed as part of a business plan, lean or standard. Once you have an idea of your strategy, you must have a plan for implementing it. This is where the milestones portion of the plan becomes key. You might also want to check out our business plan template available through our software, LivePlan. Or, if you’d rather leave it up to the pros, you can always have a MBA write your business plan for you in five business days with LivePlan’s business plan consulting.